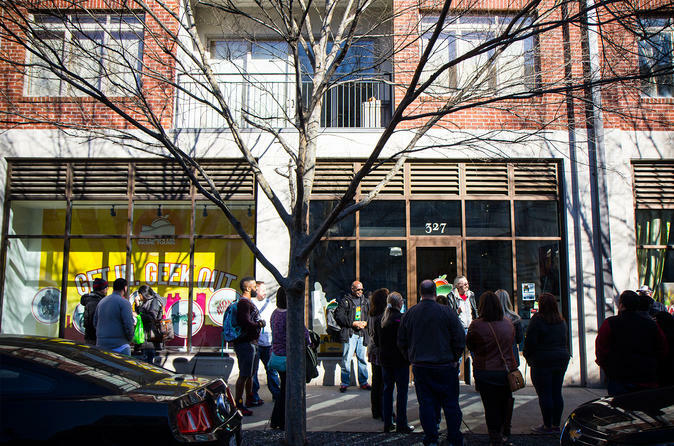 This 90-Minute Castleberry Hill Backlot Walking Movie Tour is where all the action is! From Driving Miss Daisy and Stranger Things to Ride Along and Ant-Man with a little Captain America: Civil War and The Walking Dead thrown in, this hour and a half long walking tour is bound to please every movie fan in your party. Your guests will explore this hot art district, learning about its production history and behind the scene insights with their very own Insider from the set. Did you know the Castleberry Hill Arts District, home of Atlanta Movie Tours, is named one of the top 10 Art Districts in the country? Take a 90 minute stroll through Castleberry and hear all about hundreds of movie filmed right here in this walking tour. Captain America, Rick Grimes, RocoCop, Dominic Toretto and more have all filmed in Castleberry and our Atlanta Movie Tours' Insider has the behind the scenes stories and production history to keep you entertained beginning to end. Before you take off, you will get to see all the clips of the locations in Castleberry so that you can really see the movie sets come to life!